There are a number of 27 inch monitors out there for PCs. Not all of them are really up to snuff. In fact plenty of them fall short of the job they were built to perform. But I’m not here to tell you about the sub-par tech out there. I’m here to inform you of the real hot stuff that you might want to consider investing your hard-earned cash in and the Dell UltraSharp U2715H is just that. The feature that makes the U2715H really shine is the screen’s high resolution. After all, the one thing we must demand from our monitors is that the screen is superb. 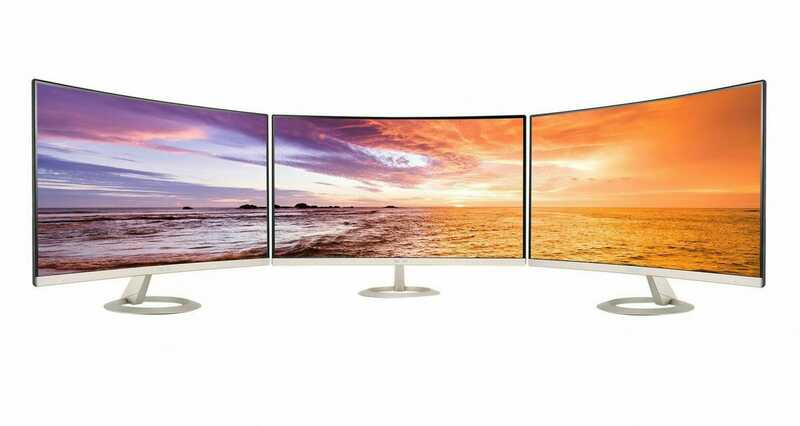 The resolution is 2,560 x 1,440 pixels which offers an “ultrasharp” viewing experience. I guess that’s why they named it that, clever Dell! In fact many claim this monitor stands up to the standard iMac display, which really is saying a lot. Well let’s get into the specs of this guy. Often when laying out the specs for tech products I try to find the easiest way to tell you most about the monitor, information that is actually useful. I could tell you the Dynamic Contrast Ratio is 2 million:1 and the Brightness is 350 cd/m2 but that tells you nothing when you’re trying to find out what monitor is the best for gaming and watching your favorite flick especially when you’re not a techie. 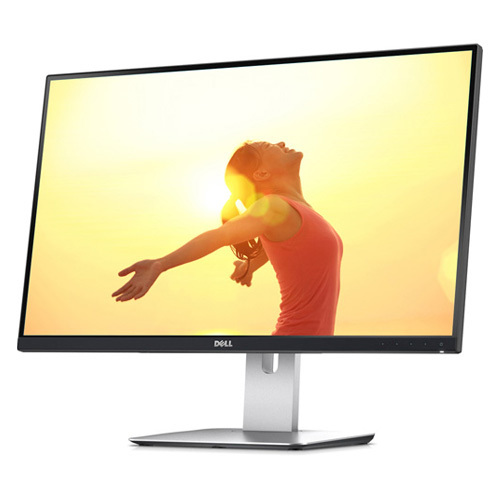 What’s The Dell UltraSharp U2715H Good For? Because of the high-resolution screen you’re looking at a monitor that is good all around whether for home or office use, medical office use, for video editing, photo editing, watching movies, code writing and of course gaming. The U2715HM is especially great for gaming because some PC games are the only thing that’s going to fully utilize that kind of resolution output. The general consensus amongst gamers is that this is definitely one of the good ones in terms of getting the most out of your gaming. Especially with first-person shooter games where enemies are way more easily identified. Not compatible with earlier computers that use VGA input so make sure your computer is compatible before purchasing. Some have reported significant backlight bleed but this seems to be an occasional case here and there. If you do purchase one and you notice a significance problem consider returning it for a non-dud. What’s This Bad Boy Going To Cost You? 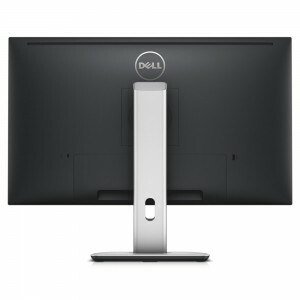 If you go to dell.com you can get the U2715H monitor for $599 but you can pick it up on Amazon for as low as $519.99. So, whether you’re looking for a gaming monitor or just something for the office the Dell U2715H is definitely worth considering. I’ve spent a few articles going over a some high-end 27 inch PC monitors that are geared towards those willing to drop some extra coin. The type that when you switch them on to play a game or edit your videos and photos your jaw drops at the mere sight of the graphic resolution. But what about those of you out there who don’t want or can’t drop $1000 or more on a PC monitor? Don’t worry I’ve got you covered. 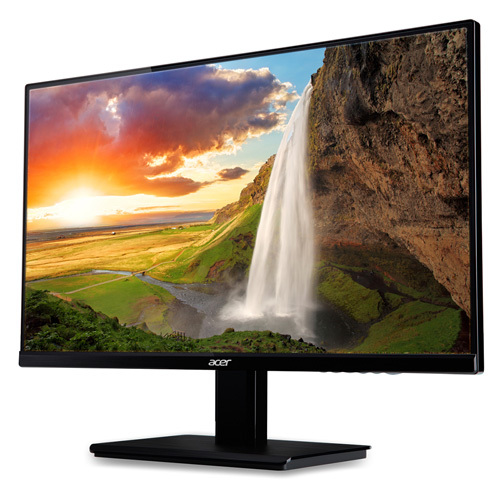 Let’s look at the Acer H276HL, a 27-inch monitor that will deliver quality images without breaking the bank. The viewable screen is obviously 27 inches. The resolution is 1920 x 1080 offering a pretty crisp viewing experience. Weighs about 16 pounds which is on the lower side of 27 inch monitors. This comes in handy when you’re having to re-locate the office or find yourself having to reposition it often. Response time, which is measured in milliseconds gray to gray time, is 5 ms which isn’t too bad. You won’t see too much motion blur when watching a video or playing a game. The Acer H276HL uses IPS technology. To avoid getting into anything too technical, IPS or In-Plane Switching is a screen tech that allows you a wider viewing angle. Remember when you couldn’t really view a monitor screen from anywhere except for right in front of it? You can thank IPS for solving that. Tilt ability allows it to tilt forward and backward. 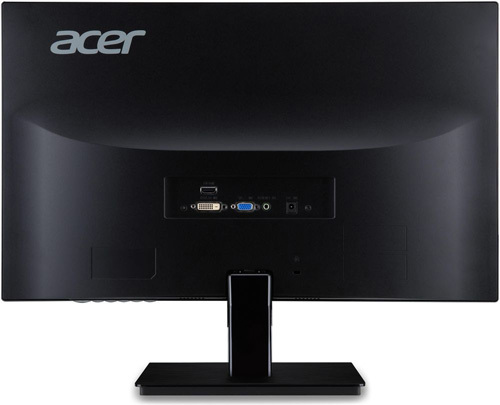 The Acer H276HL has Built-in speakers – an unexpected bonus for a monitor at this price. What kind of things can you do with the H276HL? This guy’s going to be pretty good for some things and not so much for others. While it’s got a pretty decent HD display it doesn’t have the highest resolution out there especially compared to the Dell UltraSharp U2715H and NEC PA272W which both have 2560 x 1440 display. With a decent response time and a decent graphic display you’ll find gaming and general office use are a good fit with it but more high end graphics work like professional video or photo editing isn’t. What kind of connectivity are we looking at here? Not a great connectivity arrangement here. You’re a bit limited with only the following. So no USB or DisplayPort. But again some things have to be sacrificed for a monitor this cheap. A decent HD experience that’ll make your gaming and video watching parties a success. An unbeatable price. Seriously, this is a good deal. That is really what grabbed my attention about this guy, the quality for the price you’re paying is currently unrivaled by any other PC monitor. Not a large array of connection options. Speakers are pretty weak. Your best option is to use headphones instead of the built-in speakers. Lack of mobility affects its versatility. There are no pivot or swivel options here, only tilt. That’s like having Snap without Crackle and Pop. A lack of anti-glare protection on the screen can be a nuisance during day hours. Not made for high-graphics applications. Now, this is where it gets interesting. You can pick up the Acer H276HL for $249.99 on us.acer.com and as low as $244.27 on Amazon. And with 4.6 stars out of 5 from 449 users, can see that this is a pretty well-liked monitor. So taking into account all of the above, is this a monitor you should buy? The answer is – yes if you’re looking to keep it within a low budget. Again if you are looking for something that works well with high-graphics applications like professional video editing and photo editing software then this is definitely not the monitor you should be looking at. Save up some more money and look at investing some more bucks into a more robust graphics machine. without being totally shafted by some low-quality, knock-off monitor than this is your guy. Come on, now 449 users on Amazon(.com) can’t be wrong, can they? Wait…can they?